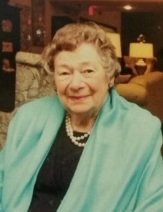 Dorothy J. Baldus, age 90, passed away in Urbana on April 9, 2019 at Carle Hospital surrounded by her loving, extended family. She was born in Weaver Township, Iowa to Gertrude and Joseph Lee. She was raised with five brothers and one sister who have all preceded her in death. She was a graduate of Burlington High School, Burlington, Iowa. Dorothy married the love of her life, John, in 1948. They were together for 67 years until he passed in 2015. Dorothy was a life-long member of the Democratic Party and served as an election judge in Champaign County for several decades. She followed Illini sports as an avid fan and loved jigsaw and crossword puzzles. She was an excellent card player all her life. Her true passion was fishing. She spent countless hours on the river banks of Iowa, lakes of Minnesota and ponds of Illinois. Dorothy is survived by her daughters, Dawn Frank (Joe), Robin Cain (Doug), and Nanette Francis (Keith), 10 grandchildren and 13 great grandchildren. A family celebration of life for Dorothy and John will be held this summer. Interment will be at Sacred Heart Cemetery in Burlington, Iowa. Memorials in Dorothy’s name can be made to Carle Hospice (1813 W. Kirby Ave, Champaign, IL 61821) or Hospice Hearts (PO Box 91, Thomasboro, IL 61878).